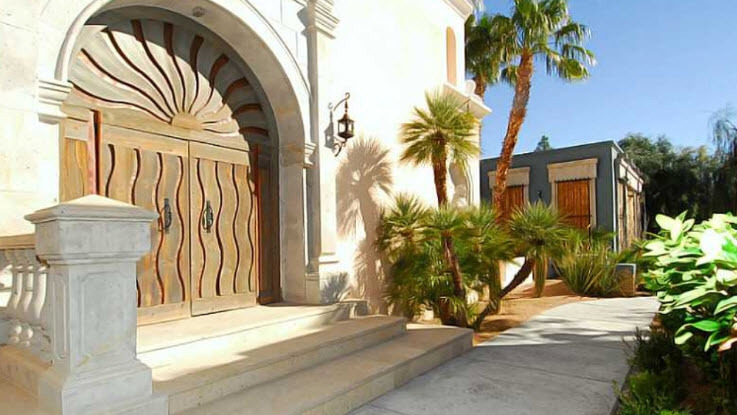 Michael Jackson’s Vegas rental is for sale, which is where he lived for a short time before his death, and you can buy it today for a measly $19.5 million. Jackson lived here for just a few years between 2006 and 2008, and it was where he stayed after being found not guilty on molestation charges. The property is roughly 25,000 square feet, and it sits on nearly 1.7 acres. It has more than a half-dozen bedrooms, two dozen bathrooms, a few kitchens, and almost anything else that a King of Pop would deserve. 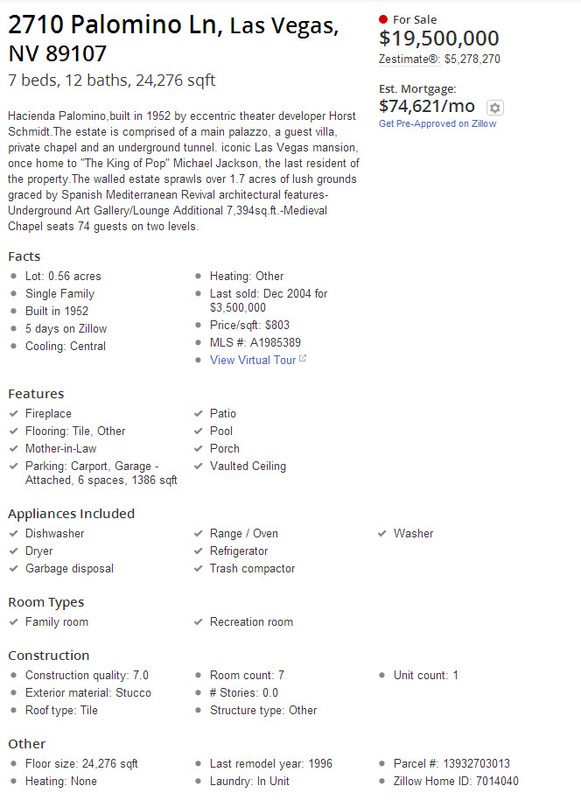 If you did want to see more pictures of his Las Vegas rental, along with his other homes and houses, then be sure to check out Michael Jackson homes.